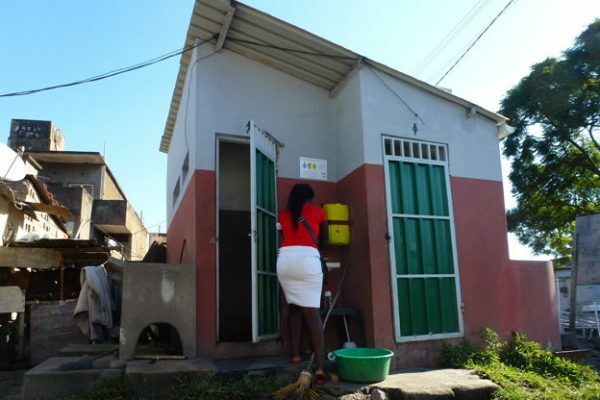 This Policy Brief summarises the findings of a qualitative research study which looked at causes and levels of psychosocial stress among users of traditional shared latrines and high-quality shared toilets in Maputo (Mozambique). 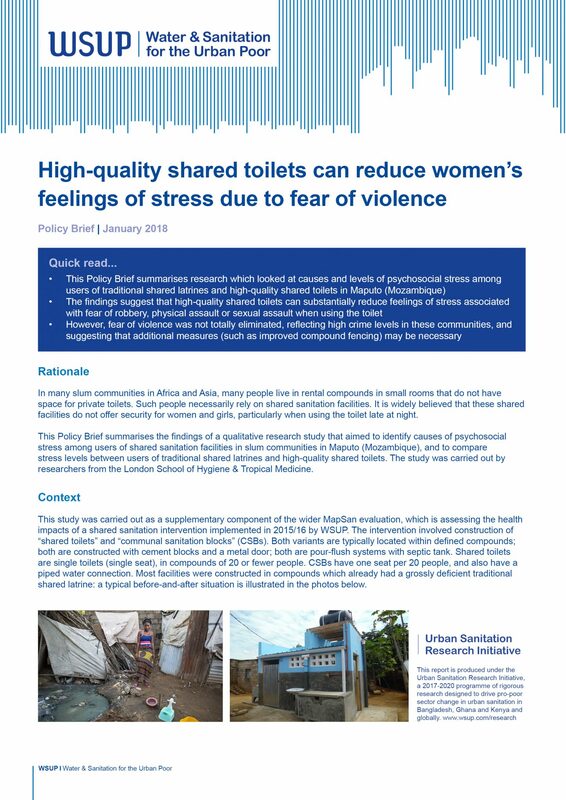 The findings suggest that high-quality shared toilets can substantially reduce feelings of stress associated with fear of robbery, physical assault or sexual assault when using the toilet. 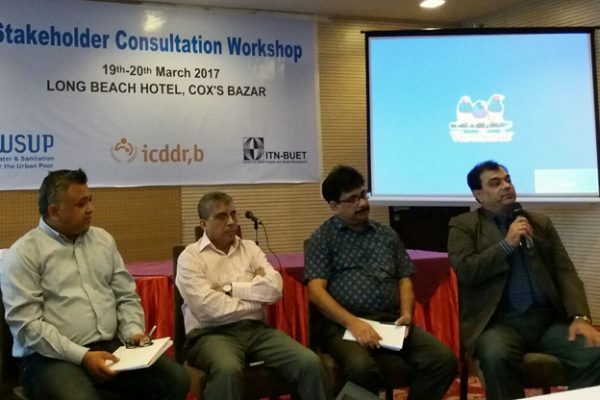 However, fear of violence was not totally eliminated, reflecting high crime levels in these communities, and suggesting that additional measures (such as improved compound fencing) may be necessary. 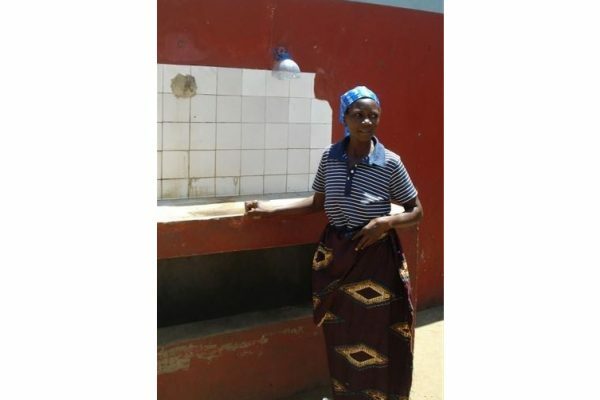 This research was led by Tess Shiras and Robert Dreibelbis of the London School of Hygiene & Tropical Medicine, and was funded under a grant to the MapSan project by the Bill & Melinda Gates Foundation.